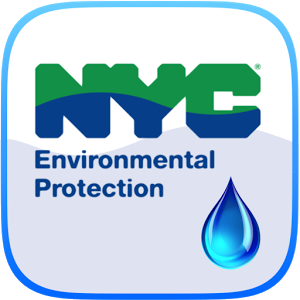 I work with the NYC Department of Environmental Protection (DEP). The department is grouped into different bureaus, but the main bureaus are Bureau of Wastewater Treatment (BWT), Bureau of Water Supply (BWS), Bureau of Wastewater and Sewer Operations (BWSO), Bureau of Development & Construction (BEDC), and the Bureau of Customer Service (BCS). DEP’s main objective is to provide clean, drinkable water to New Yorkers. In BWT, there are 14 wastewater treatment plants in NYC that collect waste from different parts of NYC for treatment and disinfection, which is then released back into the river. 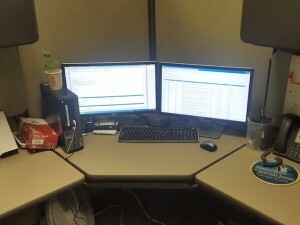 I work with Bureau of Wastewater Treatment (BWT) MIS Section; we manage all the information technology equipment across all the offices under BWT. I do mostly helpdesk related issues and active directory. I have been tasked with different projects ranging from setting up a server for use in a treatment plant (it was pretty tough as it was my first time without supervision). The team and I go out to the plants that have submitted help desk tickets and we troubleshoot and resolve their issues in the quickest possible time. All my classes have helped me prepare for this internship. My IS 623 class, Information Systems Design & Analysis helped me the most. There are a couple of malls around where I work. All the malls have food courts in them. When we are out on the field, the treatment plant we are working at determines where we would go for lunch. There is a pizza place where we love going. They make the pizza in a brick oven and the ingredients are made fresh daily. Oyewale Senbore is a graduate student in the Seidenberg School, working to earn his MS in Information Systems.